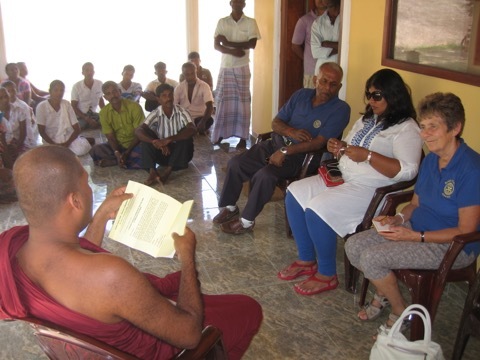 On 28th January 2016, Trustees David and Joy Cooper visited the remote village of Veheragala near to Habarana with Rotarians from the Rotary Club of Colombo Mid-City. The party was greeted by the Chief Incumbent of the Temple, Rev. Maharambawawe Palitha and village people. 280 families in this community suffer from the effects of severe drought and lack of educational provision. Trustees agreed to provide funding for a deep water well and also to support the establishment of a classroom and library where lessons may be conducted.